Nowadays, timber storage sheds come with insulation that protects your valuables from moisture. However, sometimes this insulation may not be enough to prevent penetration of water and humidity. Adding a waterproof cover to your shed can save you a lot of money and extend the lifetime of the shed. Although some water and moisture may still get inside your shed, waterproofing can help minimize the damage. Here are some of the preventive measures that you can take to eliminate water and moisture-related damages. One of the best ways to extend the lifetime of your shed is to treat the wood. You can use wood preservation as a base coat. Painting the timber with the color of your choice can also help extend its lifetime. Before you buy the treatment, make sure it allows for painting. Treatment involves spraying a wood-based preservative all over the wood and letting it dry. Other than wood-based preservatives, you can use various spirits to treat the wood. Spirits soak into the wood more efficiently than wood-based chemicals. Once you finish spraying the wooden shed, let it dry for one to two days. Once it has dried up, you can apply waterproof over the shed to add extra protection against water and moisture. Elevating the floor of your shed is crucial. All you need is to raise the shed from the ground slightly. Otherwise, water will seep up from the basement and find its way inside your shed. Moisture is very destructive and can cause your shed to rot in months. You can put concrete blocks and scrap metal under the base of your shed to prevent moisture and water penetration. You can use a commercial sealer to seal the wooden shed both inside and outside. That is a great way to protect your wood from moisture and rainwater. The seal doesn’t have to be designed for the shed; however, a customized seal can produce an even better result. The most important part that needs to be sealed is the perimeter of the roof. However, paying attention to all corners of the shed ensures that water does not slip through. Walls and all corners at the bottom of the shed also need your attention. Once you are done, let the shed dry for one to two days. Unless you install a waterproof roof, you cannot protect your shed from moisture and rainwater. You could also consider adding a protective layer to your plastic or steel sheets. Adding fiberglass or scrap metal to the inside of your shed can help extend the time it can be utilized. Sheets and fiberglass can serve as an alternative to adding wood treatment. While your roof cannot be completely waterproof, taking extra precautions can help mitigate potential risks. If you have not insulated your shed, you will waste a lot of energy trying to keep it warm during the winter. 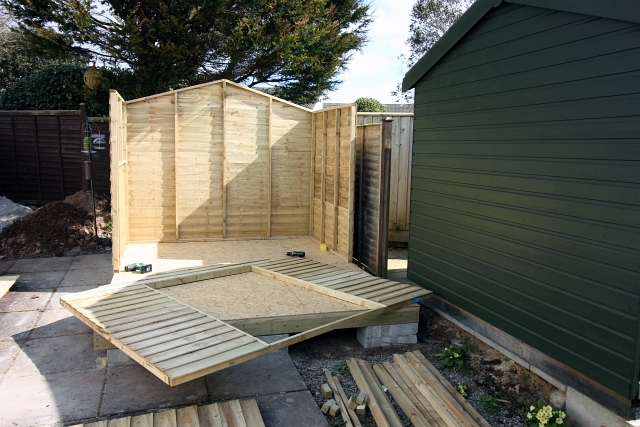 It is worth investing your time and resources in covering your wooden shed to avoid damages.